Andrew joined Watsi on May 31st, 2018. 18 other people also joined Watsi on that day! Andrew's most recent donation traveled 8,500 miles to support Favour, a baby from Kenya, to fund spinal surgery. Andrew has funded healthcare for 6 patients in 5 countries. Seab is a farmer from Cambodia. He has two sons, three daughters, and 20 grandchildren. He likes to listen to news programs on the radio. 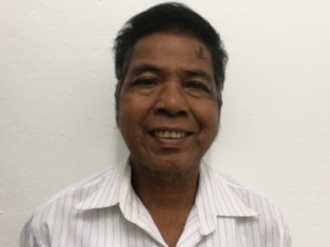 Two years ago, Seab developed a cataract in his left eye, causing him blurry vision, photophobia, and tearing. He has difficulty seeing things clearly, recognizing faces, and going anywhere outside. 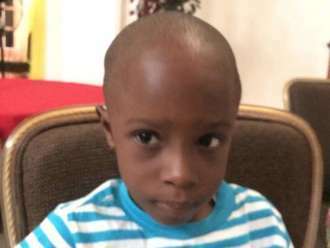 When Seab learned about our medical partner, Children's Surgical Centre, he traveled for two hours seeking treatment. On October 17, doctors will perform a small incision cataract surgery and an intraocular lens implant in his left eye. After recovery, he will be able to see clearly. Now, he needs help to fund this $211 procedure. He says, "I look forward to working on the farm again."